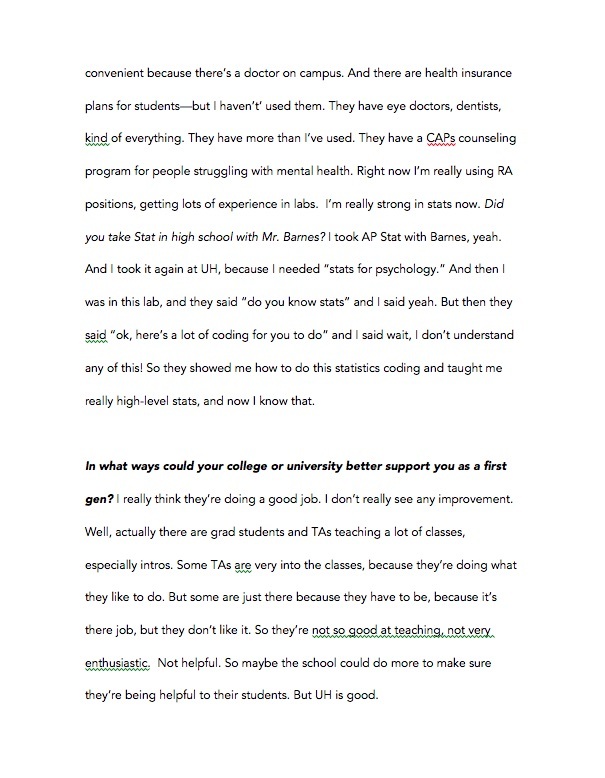 Below is the cleaned-up, turned-in version of my interview with a former student who is a first-generation college student at the University of Houston. While teaching, I was certainly aware that many of my students would be the first in their family to go to college. However, I never really had a chance to talk about that aspect of college preparation. To go back and talk, in length, to a student I'd known a few years earlier about how high school prepared her for college, and her specific experience as a first-gen student, was very rewarding and enlightening.